lomeal is the main interface package. 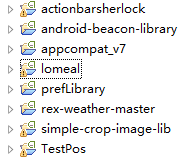 other packages are the library to support lomeal. package api encapsulates apis allows app talking to the server. model package contains the data base models. data are exchanged by gson. use annotation @DatabaseField @SerializedName and keyword transient to talk to database. gson it’s like hibernate. object-to database. no need write direct sql as it’s hard to maintain. 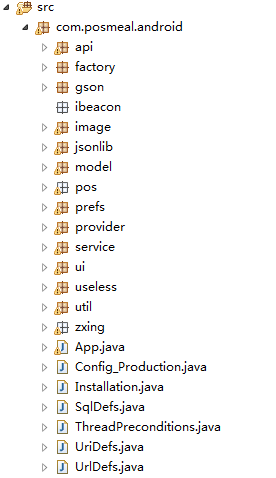 I realized I hadn’t yet setup Java on my machine so I followed the link from the Android Studio docs to download the JDK and installed Java 7. Hopping over to my command line, I verified the install by running javac -version which output javac 1.7.0_71. At this point, I must admit that I’m no Java expert. I followed the instructions to download the JDK but there are a ton of links on that page… maybe I made a mistake? Thankfully this StackOverflow thread saved the day. The accepted answer recommends hacking on the info.plist inside the Android Studio package. There’s discussion in the comments pointing out that this is no longer a recommended practice. I finally found this answer which recommends downloading the latest JVM from Oracle and then downloading this Java bundle from Apple. After installing both packages I’m now able to fire up Android Studio (and I didn’t have to hack on any of the internals). Yay!